A sunflower hung its head in the failing evening light, as if blindly searching for the sun in the ground. The sun into which it would usually stare and which was now nowhere to be found. Kosztolányi was born in Szabadka (Subotica) in 1885, then part of the Austro-Hungarian Empire, but which now lies in northern Serbia. The city serves as a model for the fictional town of Sárszeg, in which he set his novella Skylark as well as The Golden Kite. Kosztolányi studied at the University of Budapest, where he met the poets Mihály Babits and Gyula Juhász, and then for a short time in Vienna before quitting and becoming a journalist–a profession he stayed with for the rest of his life. In 1908, he replaces the poet Endre Ady, who had left for Paris, as a reporter for a Budapest daily. In 1910, his first volume of poems The Complaints of a Poor Little Child brought nationwide success and marked the beginning of a prolific period in which he published a book nearly every year. In 1936, he died from cancer of the palate. The literary journal Nyugat (Hungarian for “West”), which played an invaluable role in the revitalization of Hungarian literature, was founded in 1908 and Kosztolányi was an early contributor, part of what is often called the “first Nyugat generation”, publishing mainly in poetry. Starting in the 1920s he wrote novels, short stories, and short prose works, including Nero, the Bloody Poet (to the German edition of which Thomas Mann wrote the introduction), Skylark, The Golden Kite and Anna Édes. 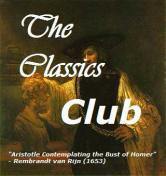 In 1924 he published a volume of verse harkening back to his early work, entitled The Complaints of the Sad Man. WHAT’S YOUR FAVORITE NOVEL TAKING PLACE IN HUNGARY? 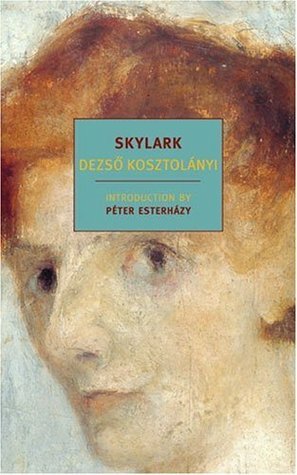 This entry was posted in Fiction, foreign, Quotations, Reading Challenges and tagged Dezső Kosztolányi, Hungarian literature, Hungary, literary fiction, skylark by WordsAndPeace. Bookmark the permalink. I LOVED THIS BOOK. And I LOVE THIS WRITER. He’s so thoughtful, human and subtle in his description of human nature. In French, you can read Le cerf-volant d’or. It’s not available in English and it’s a shame because it’s a wonderful book. I’ve read several Hungarian books and I liked all of them. Reviews on my blog, at His Futile Preoccupation and at Pechorin’s Journal. Antal Szerb was a genius. Thanks Barbara, actually Journey by Moonlight was already on my Goodreads TBR list!